Acosta was allowed back into the White House Friday afternoon and participated in a press gaggle on the North Lawn. President Trump, whose back-and-forth with Acosta, had become particularly tense over the past few months, weighed in on Friday saying that the White House is writing rules and regulations that would offer guidance related to the press corps. "You can't take three questions and four questions and just stand up and not sit down. Decorum you have to practice decorum," Trump said in response to questions about the ruling. "We want total freedom of the press. That's very important it’s more important to me than anybody would believe. But you have to act with respect, you’re in the White House." CNN White House correspondent Jim Acosta smiles as he departs after a judge temporarily restored his White House press credentials following a hearing at U.S. District Court in Washington, Nov. 16, 2018. 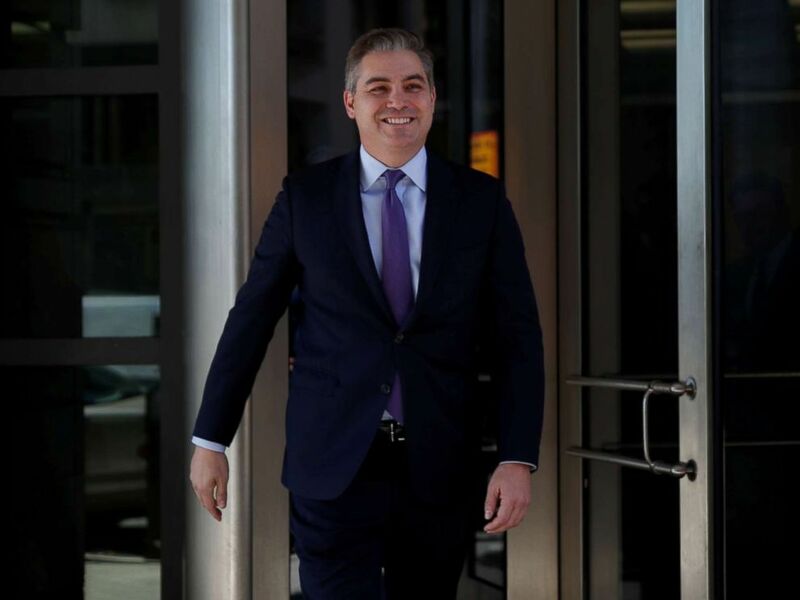 U.S. District Judge Timothy J. Kelly repeatedly emphasized that his decision to return Acosta's press pass as litigation continues was based on the Fifth Amendment, under which the judge ruled Acosta was denied his right to due process. Due process would give Acosta and CNN the chance to rebut and challenge the appropriateness of the government’s action. “Indeed, whatever process occurred within the government is still so shrouded in mystery that the government could not tell me at oral argument who made the initial decision to revoke Mr. Acosta’s press pass,” the judge added. 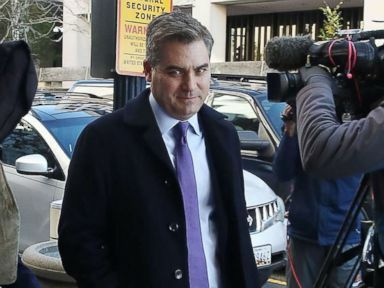 Acosta was stripped of his credentials, without warning, when he returned to the White House, where he works daily, after a heated exchange between Trump and Acosta at a press conference on Nov. 7. “I want to emphasize the very limited nature of today’s ruling,” he said of his decision to grant the temporary restraining order that restores Acosta’s press pass. “Because I’ve found that it must be granted as to the due process claim, I haven’t had to reach the plaintiffs First Amendment claim at all, in which they alleged that the government engaged in viewpoint or content discrimination,” Kelly said. “So I want to make very clear I have not determined the First Amendment was violated here,” Kelly said, adding that he had not determined what legal standard would apply to the claim or how the 1971 case of Sherrill v. Knight, relied heavily upon by CNN’s legal team, would bind the judge, if at all. “I have no quarrel with that at all,” the judge said. Responding to the decision, White House press secretary Sarah Sanders focused on Kelly’s comments on the First Amendment, despite the judge’s comments about his lack of a decision on that specific claim. “Today, the court made clear that there is no absolute First Amendment right to access the White House. In response to the court, we will temporarily reinstate the reporter’s hard pass,” Sanders said. Proceedings are expected to continue next week, and Kelly made it clear that the door was still open for changes in Acosta’s White House access. "If at some point after restoring the hard pass the government would like to move to vacate the restraining order on the grounds that it has fulfilled its due process obligations then it may, of course, do so and I will promptly address that and then the remaining basis of the temporary restraining order." Speaking after the ruling, Ted Boutros, an attorney for CNN said the news organization is "extremely pleased with the ruling today." "A great day for the First Amendment and journalism," he said. "We're very excited to have Mr. Acosta be able to go back and get his hard pass and report the news about the White House." "Let's go back to work," Acosta said. CNN's White House correspondent Jim Acosta arrives for a hearing at the U.S. District Court on Nov. 16, 2018 in Washington. The American Civil Liberties Union in a statement applauded Friday's ruling saying it "reaffirms that no one, not even the president, is above the law. "The White House surely hoped that expelling a reporter would deter forceful questioning, but the court's ruling will have the opposite effect," Ben Wizner, the ACLU's director of speech, privacy and technology project wrote in a statement. "The freedom of the press is a bedrock principle, and our democracy is strengthened when journalists challenge our leaders rather than defer to them."